Microplastics are everywhere. The tiny plastic particles pose a massive environmental challenge. Microplastics are polluting oceans at an alarming rate. Much of the oceanic microplastics result from the breakdown of plastic litter. Another source of microplastics pollution is microbeads. Microbeads, which are commonly added to cleansing and exfoliating personal care products, pollute the environment when they get flushed down the drain. It’s well documented that all sorts of marine species are ingesting microplastics. But are humans also unwittingly consuming them? According to researchers from the Medical University of Vienna and the Environment Agency Austria, the answer is yes. The research team has documented microplastics in human stool for the first time. These results suggest the tiny plastic particles may be widespread in the human food chain. The small pilot study examined eight participants from Europe, Japan, and Russia. All stool samples collected tested positive for microplastic contamination. In fact, up to nine different types of plastics were found out of the ten varieties tested for. The particles ranged in size from 50 to 500 microns. On average, researchers found 20 microplastic particles for every 10 grams of stool. This study confirms long-standing suspicions that microplastics are reaching the human gut. 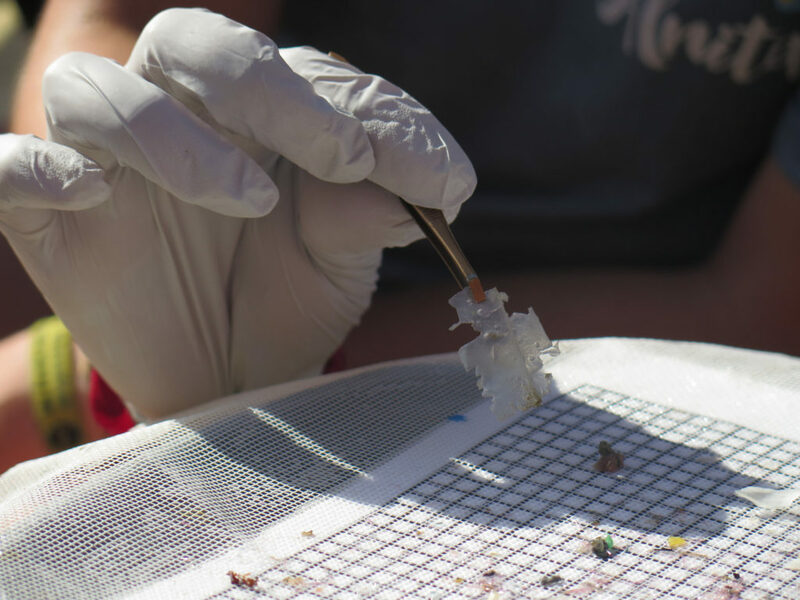 Previous studies have found microplastics in fish, birds, and flying insects. Microplastics have also been found in deep sea sediments, in arctic sea ice, and on swiss mountains. According to the researchers, further research is needed to understand what effect ingested microplastics might have on human health. In the interim, the research team is stressing the need to reduce plastic use and to increase recycling. Photo, posted July 17, 2018, courtesy of Flickr. ‘Microplastics and Humans’ from Earth Wise is a production of WAMC Northeast Public Radio.